The Republic of Macedonia (or, FYROM) is a landlocked country in Eastern Europe, which is bordered by Greece, Bulgaria, Kosovo, Albania and Serbia. Even though there’s no ocean in sight, this country has a beautiful body of water that’s worthy of a visit. 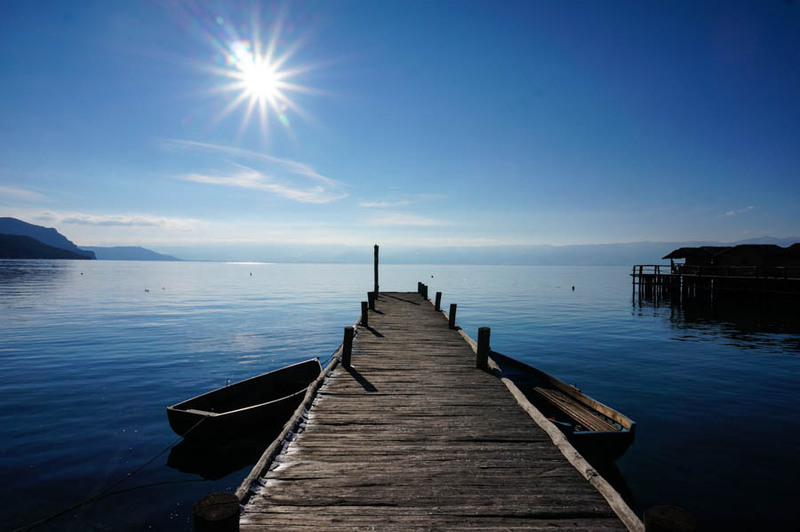 Lake Ohrid is one of the deepest and oldest lakes in all of Europe. It’s 30 kilometers long and 15 kilometers wide, and is partially owned by Albania. However, the majority of the water sits within Macedonia’s borders. 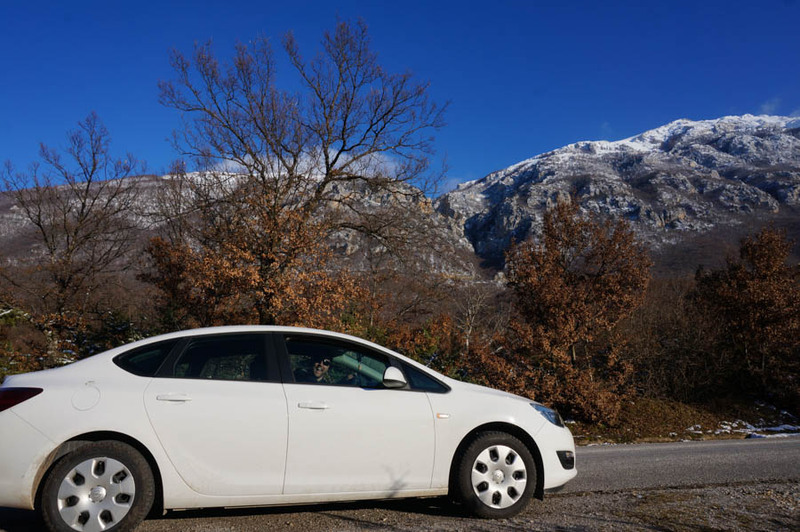 Given the size of Lake Ohrid and the many sites to see, and things to do, having a vehicle will really give you the freedom to explore this natural gem at your own pace. We had 3 nights at the Lake, but could have done with many more! 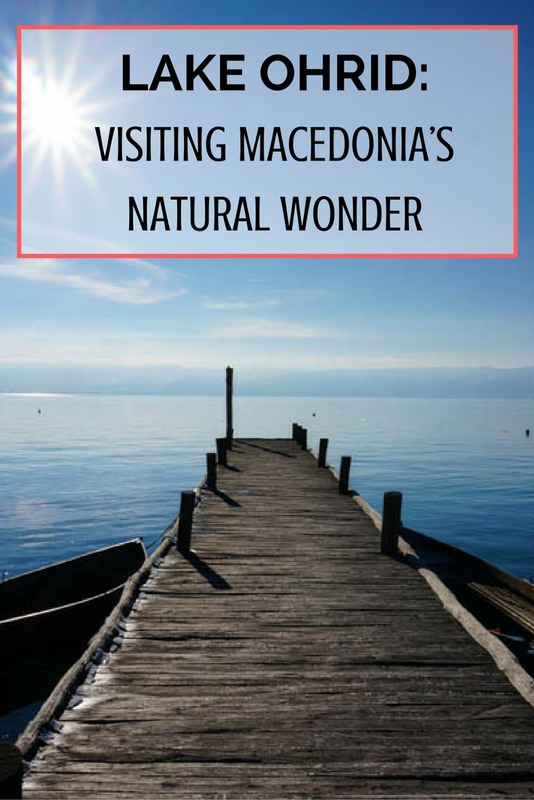 Read on to learn why Lake Ohrid should be on your travel bucketlist. 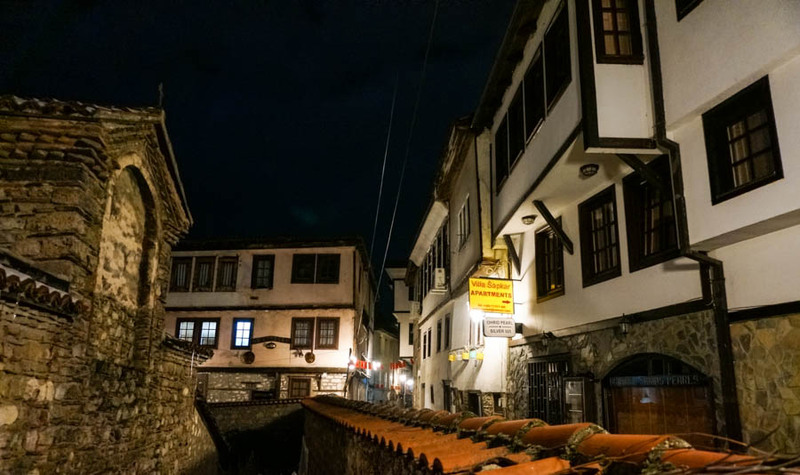 We wanted to base ourselves in the actual old town of Ohrid, which has beautiful architecture, many sites to see, and the most accommodation options. The roads here are cobblestone and the entire town is very picturesque. In fact, Ohrid was actually listed as a UNESCO heritage site in 1980. There are numerous places to stay here, with the majority being apartments, guesthouses or villas. 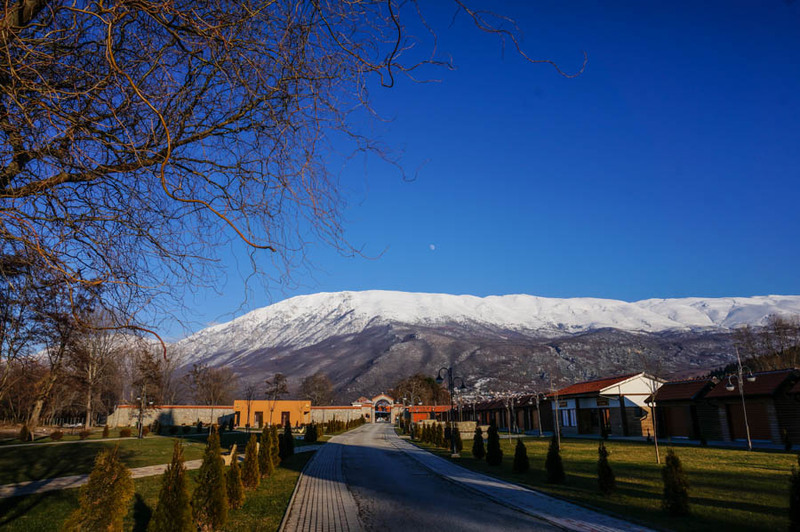 We opted for Mal Sveti Kliment Guesthouse due to its proximity to the lake itself, the fair price of the rooms ($30 – $60) and the invitation we received from the manager to participate in Epiphany! The only problem with staying in the old town when you have a car is finding parking. The lanes are very narrow and there aren’t many spaces available. We had to park outside of the old town and walk in, which took only about 5 minutes (maximum). 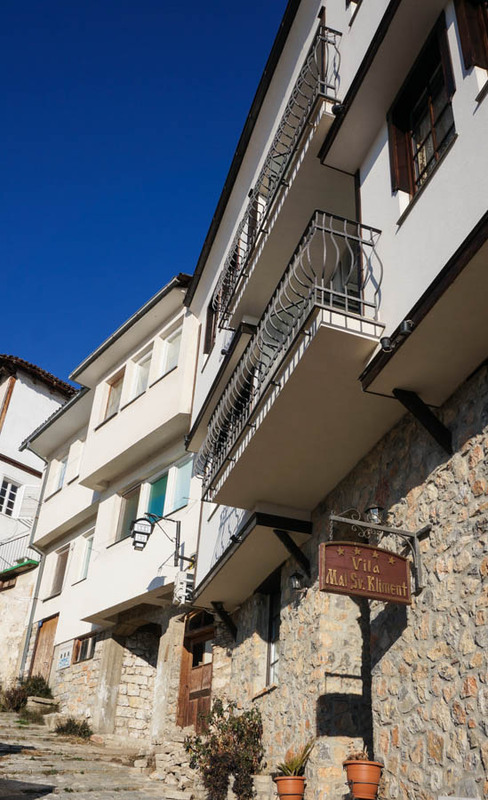 There are other places to stay around the lake, but the old town of Ohrid has the most going on, is the most beautiful, and offers the most amenities for travellers. HostelWorld for budget rooms, Booking.com for budget and midrange, and HotelsCombined to compare a variety of booking sites. There are endless amounts of things to do here. Whether you’re interested in being active, cultural or lazy, you’ll find something to suit your mood. We were at the lake in the wintertime, and there were still loads of things to do. If you come in the summer, you’ll never be bored. 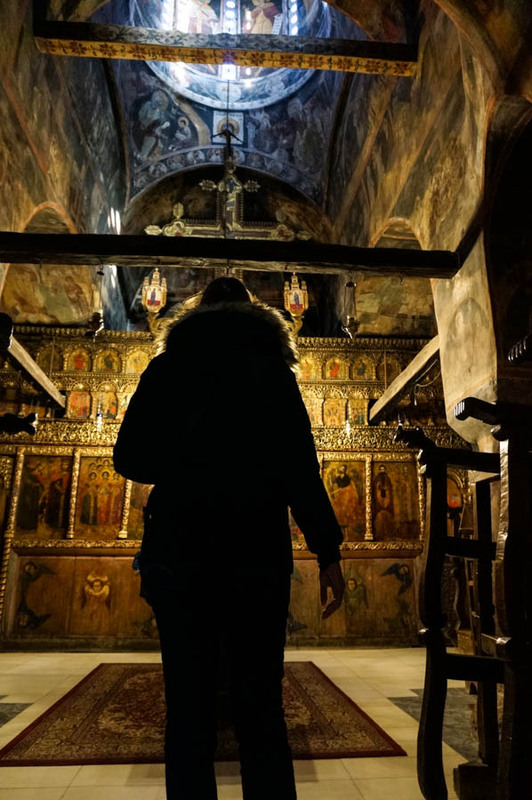 This Eastern Orthodox monastery was established in 905 by Saint Naum…who is also buried in the church! Entering into the complex you’ll pass under a stone archway, across a little river and past many peacocks. The monastery itself is lovely, but once you reach the actual church, which has incredible views of the mountains and lake, you’ll be completely in awe. This was our favourite site during our time at Lake Ohrid, do not miss it. You’ll find this monastery 30 kilometers south of the city of Ohrid, and you can get here by car, taxi, or by boat (around and hour, $8). Another picture-perfect monastery, but this time it’s Macedonian Orthodox. 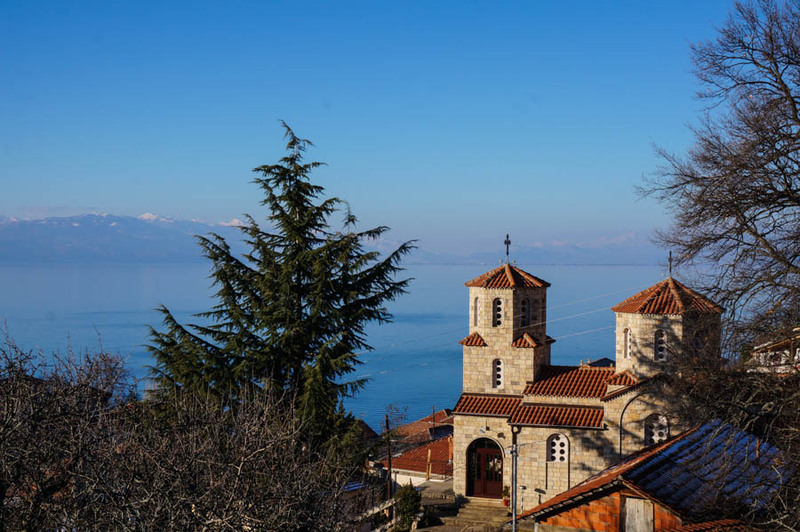 You’ll find this church clinging to a cliff above Kaneo Beach just outside of Ohrid city. 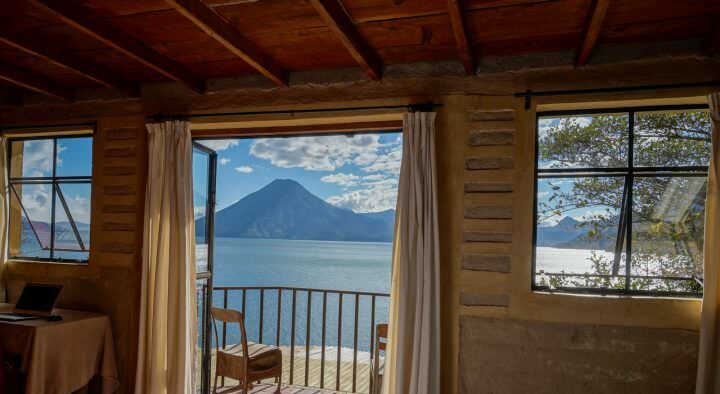 The views of the lake from here are outstanding, and if you want to find a peaceful place to just hangout and relax, this is it. The walk here is great as well. You can wander through the old town, and along the lakeshore, before arriving at the church. To complete the circle, head up the hill along a path into the forest. You’ll eventually arrive at the fort. Entrance fee: 100 MKD ($1.80). This was the capital of the first Bulgarian empire, when Tsar Samuel ruled in the 10th century. Today this is a popular spot for tourists. The fortress is well intact and the views from here are sublime. Entrance fee: 30 MKD ($0.55). This church is one of the most important monuments in all of Macedonia. It’s been home to a number of faiths since 850 – Christian, Bulgarian Orthodox, and Muslim. Inside you’ll find architecture, art and frescos from the Middle Ages. Entrance fee: 100 MKD ($1.80). This theatre was constructed in 200 BC, and is from the Hellenistic period (between the death of Alexander the Great and the start of the Roman Empire). Only the lower section of the theatre exists, but it’s still very impressive. Actually, during the Roman times, this theatre was used for Gladiator fighting! Entrance fee: Free. Ohrid’s architecture is unique. 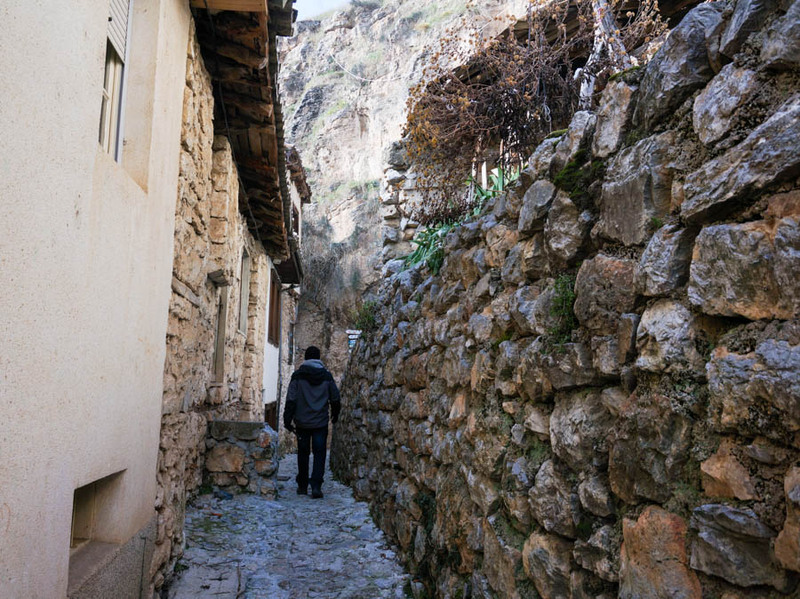 The lanes are narrow and very tight, with houses actually built hanging over the roads. The houses are all painted white to help with the intense heat of the sun, and there aren’t many open areas or yards due to lack of space, and to help avoid the strong winds from the lake. A few noteworthy homes to check out are Robevci & Uranija houses, and the homes along Car Samoil and Ilindenska streets. If you visit Lake Ohrid during the summer you’ll be able to fully enjoy all of the water activities. Even though Lake Ohrid can be visited year-round (we were there in January), all of the water activities can only be done in the summer. Click here for the best beaches for swimming on the lake and click here for some information on scuba diving and snorkelling. Dives cost $45 each, but the more you do, the lower the cost per dive. There are a few trails around the old town of Lake Ohrid (like the one leading to the Fortress above), but for a more exciting adventure, why not walk around the entire lake?! Check out this post for useful advice and tips. If you don’t have about a week to spend hiking and camping along the shoreline, you can make your way to the village of Elshani on the east coast. 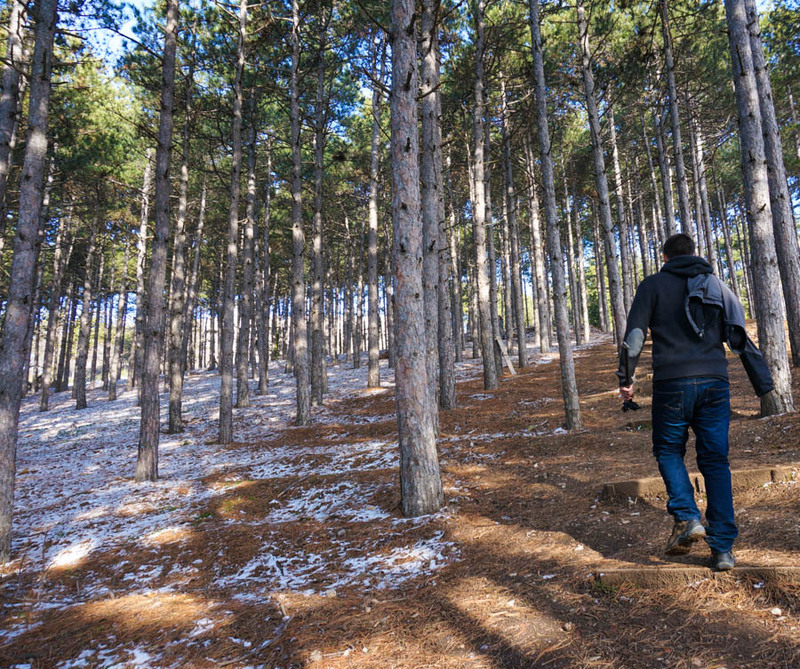 This is a great starting point for numerous trails around the area. You can also hike to the villages of Konjsko or Pestani from here. 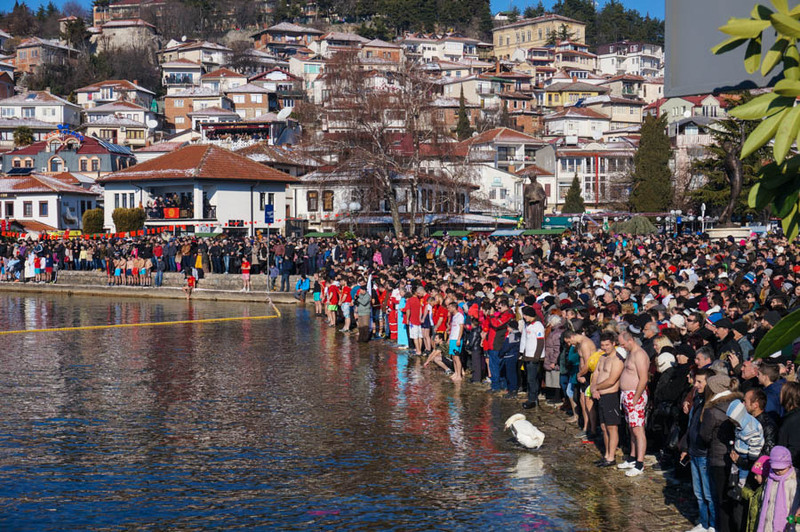 If you’re able to (and if you don’t mind the chilly weather), try to time your trip to Lake Ohrid for the Epiphany celebrations. This festival is celebrated by Christians around the world, with those in Macedonia (and the east) commemorating the baptism of Jesus. Brave (crazy?) men jump into the 7° C water (with air temps around -7 ° C), in search of a wooden cross that was thrown into the lake by a priest just moments before. The man who collects the sunken cross is blessed and given good luck for the rest of the year. He also gets to go house to house to receive money! There are numerous places to eat, but in the winter months, only a few restaurants are open. During the summer, every restaurant is buzzing. Objectif – Located along the promenade just outside of the old town. This trendy place has outdoor seating and was busy even in the winter. Lunch for 2 people is around $10 and beers are $1.60 each. 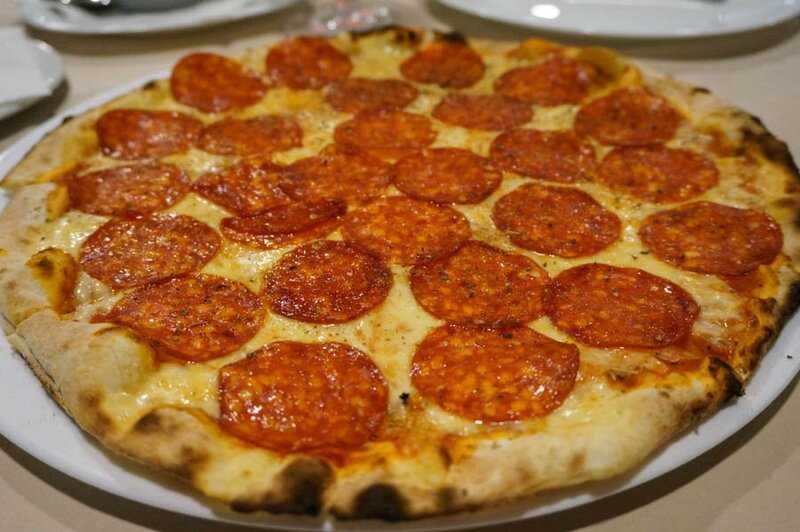 Aleksandrija – This place has wood fired pizzas for $6, vegetable dishes for $4.50 and bottles of wine from $9. Dr. Falafel – This little place serves cheap and delicious falafels right in the main square at the start of the pedestrian-only street. $1.80 with hummus. Gladiator Restaurant – Located on the western side of the ancient theatre, this restaurant offers great views. Come here for a coffee or a meal. Restaurant Damar – We had our favourite meal here! Go for the vegetarian platter ($6) which comes with fried zucchini, cucumbers, tzatziki, olives, grilled eggplant, salsas and bread. The stuffed peppers with cheese ($4.50) are also very delicious. Kaj Kanevche – This restaurant is a little further out of the old town, but it’s a nice walk along the boardwalk. Try the eggplant mousaka, pinjur, fried zucchini, fish and the mixed omelette. Try to get a table on the lakeside terrace! 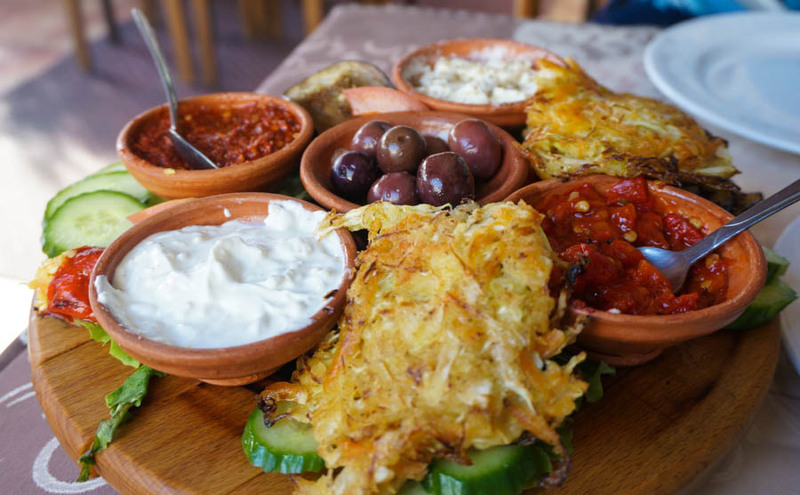 If you’re on a really tight budget, you could always o to the bakery and grocery store, or local markets to purchase fruit, vegetables, burek and other pastries. 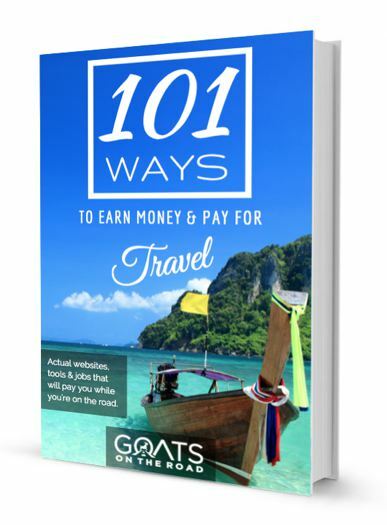 As I said at the start of this article, having your own set of wheels is the easiest way to get to the lake, see all of the surrounding villages, and carry on afterwards. We rented a car through EconomyBookings.com and Sharr Express at the airport in Skopje. 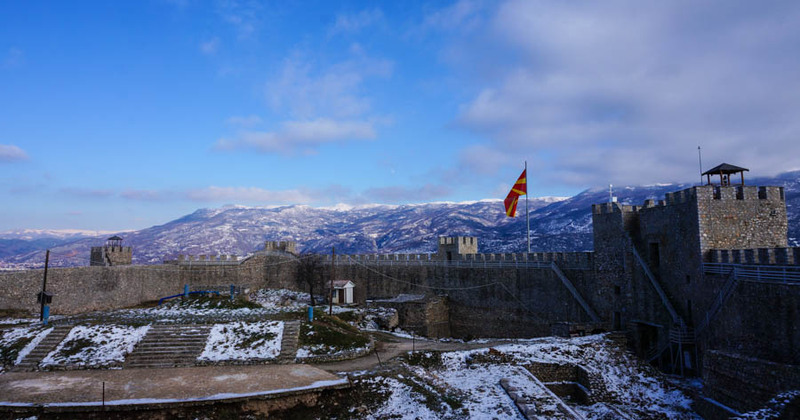 To get to Skopje from neighbouring Tirana, Albania, you can take a local bus for $22. A bus from Skopje to Lake Ohrid takes about 3.5 hours and costs around 520 MKD ($9.40). Buses run every couple of hours from Skopje. The bus station at Ohrid is outside of the old town (30 minute walk). A taxi in should cost around 120 MKD ($2) – always agree on a price before getting into the taxi. If coming from Bitola, there are about 6 buses each day. Click here for the Galeb Bus website which offers many routes from Lake Ohrid to neighbouring countries. Lake Ohrid Truly is a Gem! 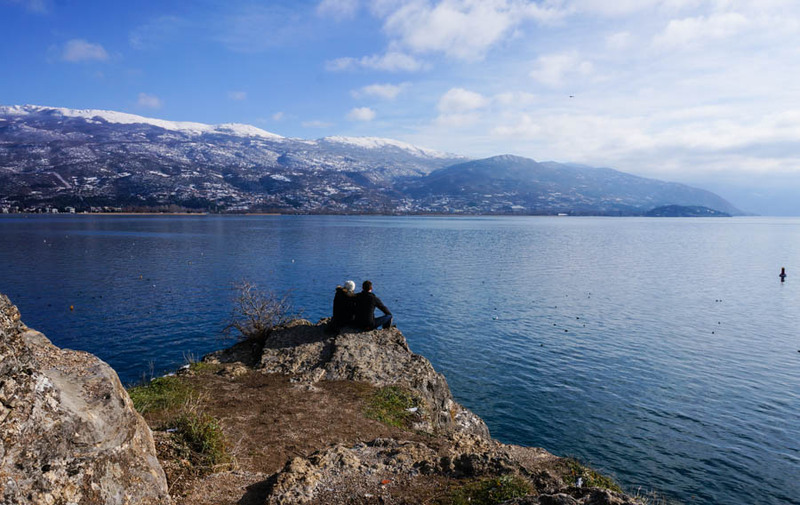 No matter which time of the year you decide to visit Lake Ohrid, you’ll have a memorable experience. Even in the dead of winter it’s still incredibly sunny and the skies are pure blue. The snow-capped mountains just add an extra element to this already picturesque destination. Meanwhile, if you come in the summer months, you’ll be able to do some hiking, swimming and sunbathing! 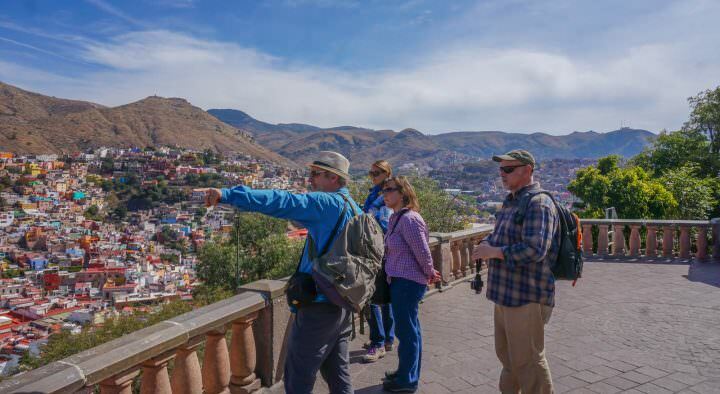 Plus, more shops, restaurants and hotels will be open for tourists. 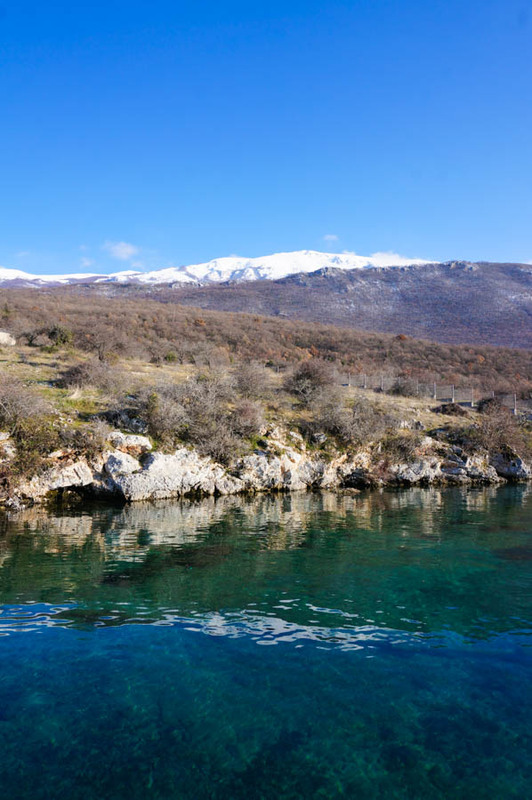 Lake Ohrid is a natural wonder of not only the Republic of Macedonia, but Europe as a whole. For more information, help and inspiration, check out our articles! It’s on To visit list! Thanks for your detailed notes, guys! We are here in Ohrid now, deciding how to spend a few days. (unfortunately, it’s raining today, so we’re saving a hike for tomorrow.) But we’ve added at least two of the restaurants you visited to our list. Cheers – hope you’re well! 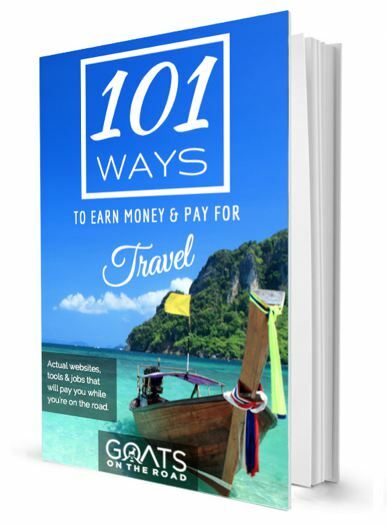 Exceptional guide but the specific country is not named Macedonia. In this context I advice the author of the post to update the corresponding references.